Pacifica Aurum Viilas is a residential development of Pacifica Companies. Located in OMR, Chennai, it is built across a wide area. These luxurious 2BHK, 3BHK, 4BHK apartments and 3BHK, 4BHK, 5BHK Villas makes it a dream home to everyone. These apartments are beautifully crafted with modern amenities. Old Mahabalipuram Road or Rajiv Gandhi Salai Road is a famous IT corridor of South Chennai. The residential development along this stretch is mainly due to the presence of renowned IT companies. Other factors which have contributed in the growth of the locality?s residential market are comfortable approach to other parts of the city, connectivity with public transit systems, ferrous infrastructure, an influx of global lifestyle and rapid urbanization. The locality has witnessed huge corporate migration and this has placed developers in an opportune position to reap healthy returns in the future. Therefore, buoyed with positive factors, the locality is known for providing structured residential spaces in a modest price bracket. The realty landscape of South Chennai has witnessed a gamut of residential developments which offers best-in-class niceties and modern facilities. The development in the zone has inspired the developers to look out for land parcels and launch their ambitious ventures. The boom in this zone is a by-product of factors like improved connectivity and infrastructure. Many prospective buyers have invested in its business property market and these transactions will benefit the developers to reap good amount of profits in the coming years. What is the project location?The project is located at OMR, Chennai South.  What size of flats are available in Pacifica Aurum Villas? 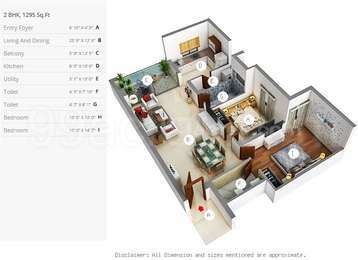 The apartment sizes in the project vary from 1147.0 sqft to 4065.0 sqft. What is the area of 2 bhk in Pacifica Aurum Villas? 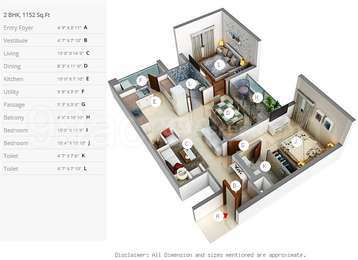 The size of a 2BHK unit in the project ranges from 1147.0 sqft to 1361.0 sqft. What is total area of 3 bhk in Pacifica Aurum Villas? 3 BHK units in the project are available in a size of 1147.0 sqft to 1951.0 sqft. What is size of 4 bhk in Pacifica Aurum Villas? 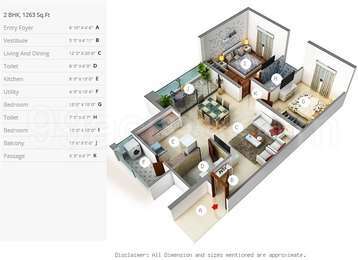 The area of 4 BHK apartments ranges from 2111.0 sqft to 4065.0 sqft. What is total price of 2 bhk in Pacifica Aurum Villas? The price of 2 BHK units in the project ranges from Rs. 4913748 to Rs. 5830524. If anybody has booked an apartment in this project for this project could please share the list of approved banks offering home-loan facility. What kind of material is used for internals and any seepage or leakage complaints till date? Hi Ashmeet, to purchase an apartment in this project, you can avail home loan facility from leading banks like Indiabulls Home Loans, Axis Bank, ING Vysya Bank, IDBI Bank, Canara Bank, State Bank of India, ICICI Bank, HSBC and HDFC Home Loans. Some of the internal specifications include vitrified flooring in bedrooms, granite platform in kitchen, washroom having anti-skid and ceramic tiles, branded fittings in kitchen and other areas, etc. The project is quite new as it was completed in Dec 2017 and there havent been any sort of complaints related to construction quality as of now. Also, as per the builder, the project is vastu-compliant. However, you can take a vastu-expert during site visit to confirm about the same. Hi Amar, to purchase an apartment in this project, you can avail home loan facility from leading banks like Indiabulls Home Loans, Axis Bank, ING Vysya Bank, IDBI Bank, Canara Bank, State Bank of India, ICICI Bank, HSBC and HDFC Home Loans. Some of the internal specifications include vitrified flooring in bedrooms, granite platform in kitchen, washroom having anti-skid and ceramic tiles, branded fittings in kitchen and other areas, etc. The project is quite new as it was completed in Dec 2017 and there havent been any sort of complaints related to construction quality as of now. Also, as per the builder, the project is vastu-compliant. However, you can take a vastu-expert during site visit to confirm about the same.